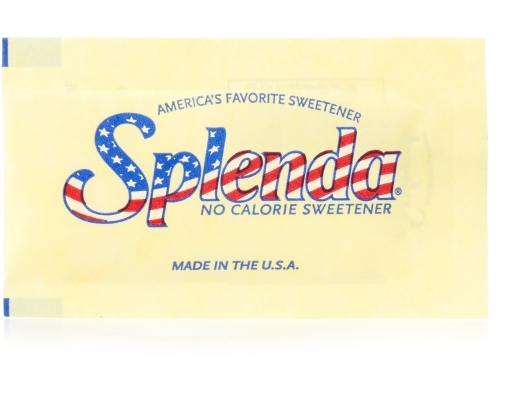 Sprinkle Sweetness! 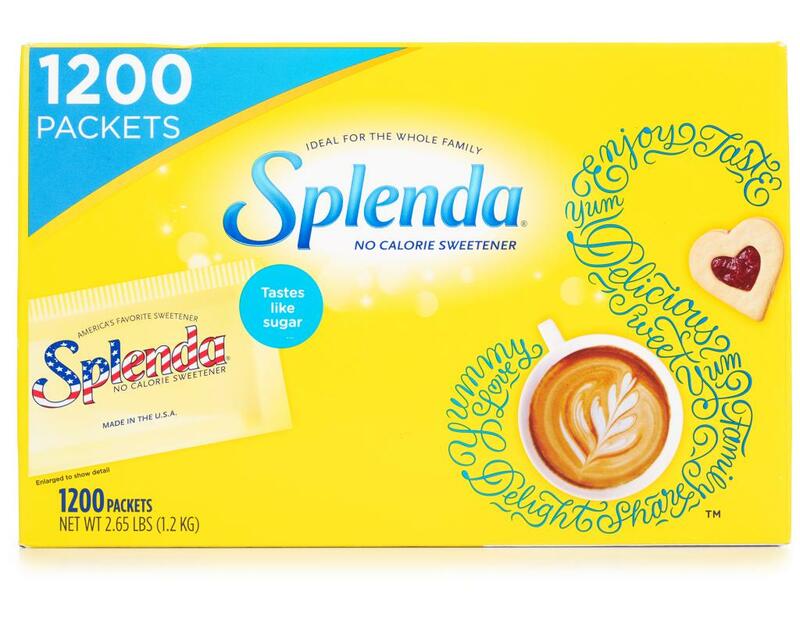 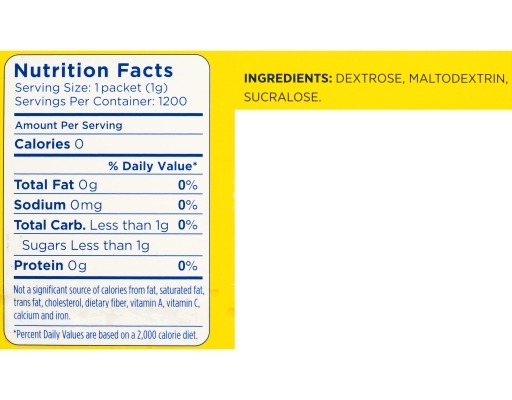 Splenda No Calorie Sweetener Packets are individual portions in the familiar yellow packets. 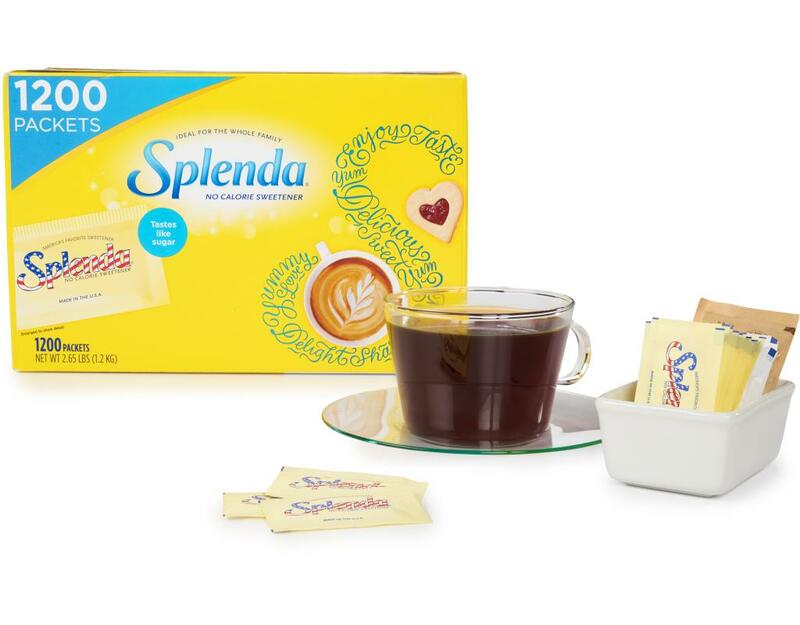 They are a great way to sweeten beverages and can be sprinkled on cereal, fresh fruit, and more. 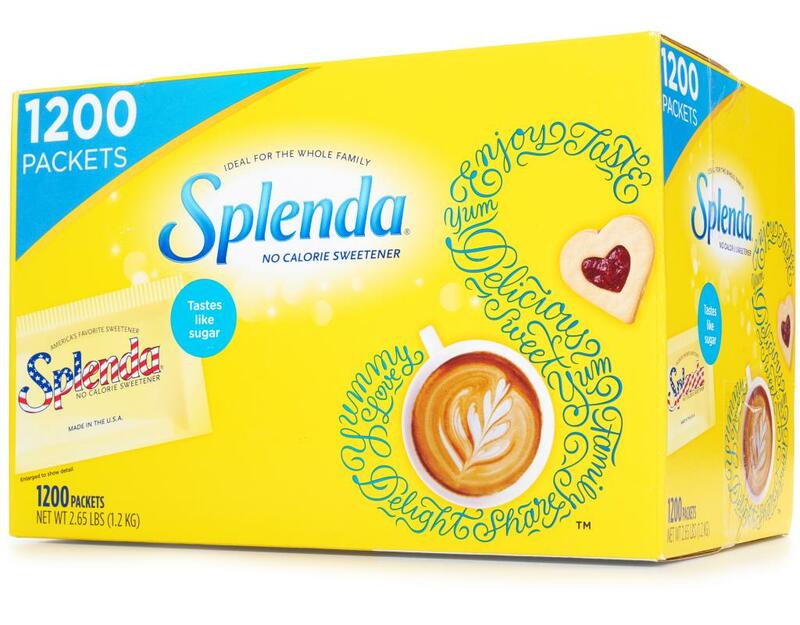 Use Splenda to get back the 36 hours on an exercise bike that it takes to burn off two teaspoons of sugar added to your daily cereal in a year! • Each packet of Splenda No Calorie Sweetener provides the same sweetness as two teaspoons of sugar. • Each packet has less than 1 gram of carbohydrate and less than 5 calories, which meets FDA's standards for no-calorie foods. 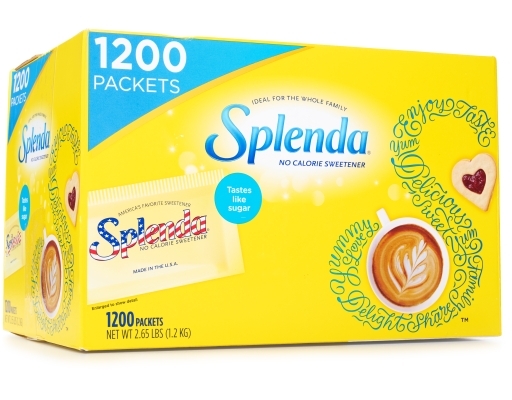 • 24 packets of Splenda No Calorie Sweetener provide the same sweetness as one cup of sugar. 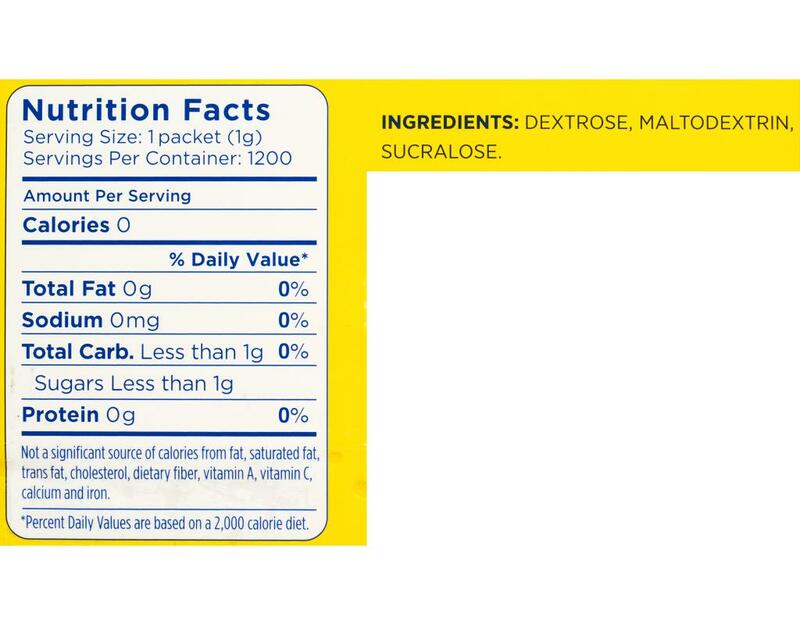 Individual portions packaged in just the right amounts to sweeten beverages and sprinkle on cereal or fresh fruit.